Looking for a delicious afternoon snack or a side dish to trick those veggie haters into veggie lovers? These crunchy, Baked Zucchini “Fries” with Ranch Dip (made from greek yogurt!) are just the ticket! 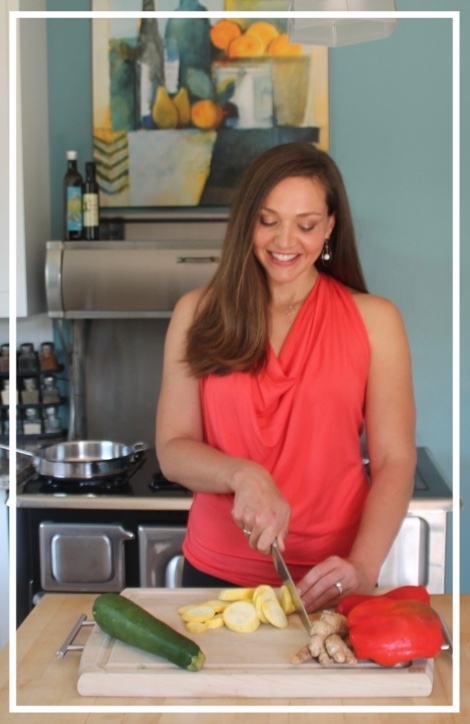 Summer is zucchini season and I love how delicious and versatile this veggie is (check out my recipe for zoodles with chickpeas, tomatoes, and lemon cashew pesto!). Besides zucchini noodles, you can grill, bake, sauté, shred, and steam these delicate summer squash into any array of dishes. What are some of your favorite ways to eat zucchini? Because these "fries" are baked, not fried, they are a lighter, less greasy version of many veggie fries you can get in the freezer aisle at the grocery store. I also used one of my favorite ingredient swaps for the crunchy, herby, breadcrumb coating - oats! Making "breadcrumbs" from oats is as simple as dumping oatmeal in a food processor and pressing the pulse button until you get to the desired texture. (The awesome Cuisinart tool pictured above is actually an immersion blender that comes with a mini food processor attachment. I love using this for smaller kitchen jobs just like this...less cleanup!). I opt for oat crumbs in place of breadcrumbs because your typical store bought breadcrumbs, while convenient, tend to be loaded with unnecessary additives and preservatives. Oats also add a good amount of fiber and texture, bumping up the nutrition compared to their standard breadcrumb competitor. The ranch dip in this recipe is a regular in my fridge. It's one of those incredibly easy, homemade dressings you can whip up in minutes in the blender. 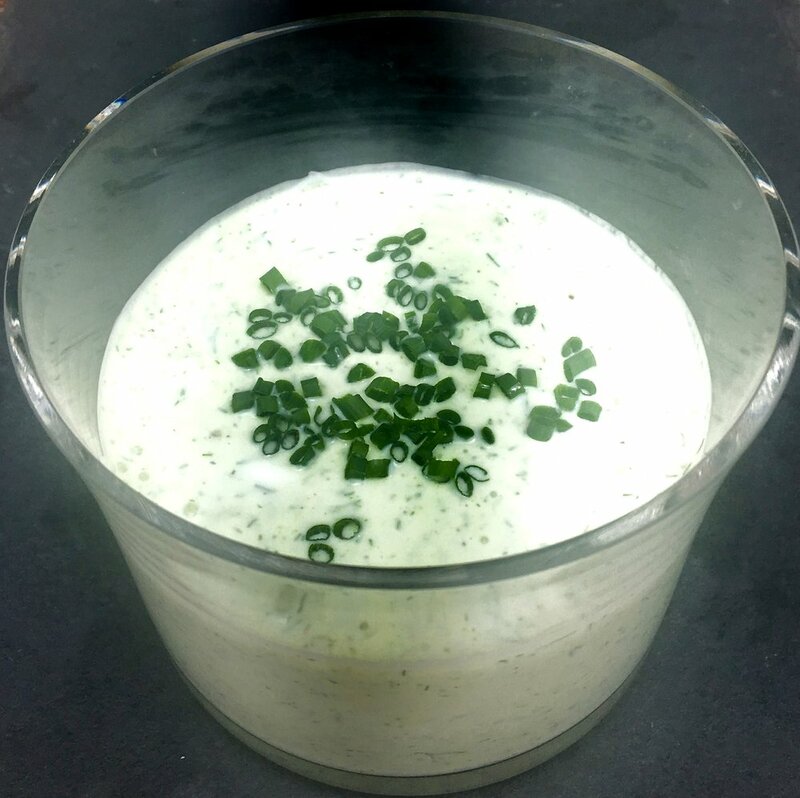 The recipe below is for a more thick, dip consistency, but can easily be thinned out to a ranch dressing by adding a little milk, buttermilk, milk substitute, or more lemon juice. Preheat oven to 425 degrees. Line baking sheet with parchment paper and spray with avocado or coconut oil. Combine oat crumbs, cheese, oregano, garlic powder, salt and pepper in a shallow bowl, pie pan, or cake pans. Lightly beat eggs in a separate shallow dish or pan. Dip zucchini sticks in egg and turn to coat, transfer to bread crumb mixture and turn to coat, pressing sticks into crumbs. Finally, transfer coated zucchini sticks to prepared baking sheets. Once all zucchini are coated and in a single layer on baking sheet, spray again with avocado or coconut oil. Bake at 425 degrees for 15 minutes, flip zucchini fries and spray again with avocado or coonut oil. Place back in oven for an additional 15 minutes or until golden and crispy. Let cool for 5-10 minutes before dipping. While the fries are baking, combine all ranch dip ingredients in a blender or food processor and blend until well combined and smooth. Transfer dip to a bowl and top with chives, if desired. Dip, crunch, and enjoy every healthy bite!